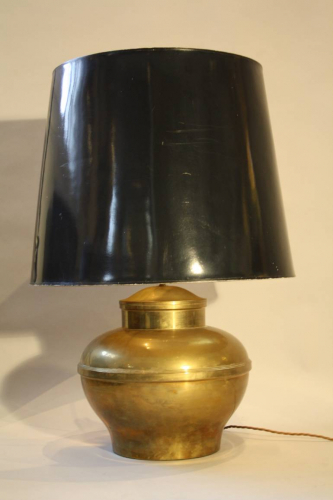 A large brass table lamp with original black gloss shade. Overall height 72cm. Width to base 34cm. Width of shade 60cm. Rewired and PAT tested for UK.